For anyone who has seen Donald Trump’s prolific tweeting, it may come as a surprise that the man holding the highest public office in the US rarely uses a computer. He shuns email, the internet and word processing. Online news articles are printed out for him and notes for improvement are written by his own hand on these copies and sent by post to the offending author. 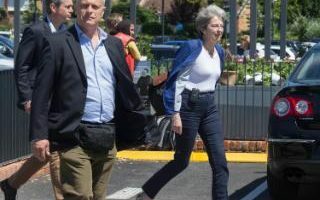 Trump’s one concession to modernity is a smart phone, which, whilst not attached to his hip in the style of Theresa May’s summer accessories collection, still enables him to shoot from it.